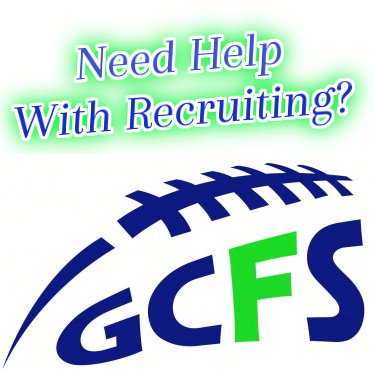 If you reference the 2013 rankings http://www.northwesteliteindex.com/rankings.html for senior’s you will see a much more firm order based on who has been offered and a variety of other factors. Feel free to let us know of any individuals we may be missing as obviously nothing is perfect. ESPN, Scout. Com, Oregon Live, Dawgman.Com, and a bunch of other talented folks have done an outstanding job of covering a lot of these kids and we enjoy our relationships with all of them. 2.Nick Underwood 6-1 215 LB Lake Oswego.. Hon Mention All League linebacker that was a key part of the 2011 state championship team. Plays beyond his years and has outstanding anticipation on defense. Testing is off the charts, running 4.5 hand time 40. Underwood is a kid that has incredible intangibles and should be recognized as one of the premier underclassmen in the NW. 2.Perry Groves 6-3 210 LB Mcnary.. Hon Mention all league linebacker; 81 total tackles (7.4 per game) People may remember brother JD Groves out of McNary who went to UCLA and was Oregon’s Player of the Year in 2000..Kid is a three sport athlete and an outstanding swimmer. Projects at the D1 level with oustanding length. 4.Sam Bodine 6-2 205 LB Canby- jumped up our recruiting boards with outstanding off season, which started at our elite events during the winter. Very talented overall athlete (basketball) that could project as a strong safety at the next level. Could very well see him be a featured RB. 6.Marcus McGovern 6-2 215 LB Sheldon..20 total tackles, 2.5 per game..Should be next standout backer at Sheldon, but could end up playing some D end. Ivy league type student that will just need to continue working on speed and side to side agility. 6. Ryan Nall 6-2 205 LB Central Catholic… 13 total tackles, 1 int, 4 pass deflections..Brother of former Mt Hood Defensive Player of the Year/ PSU Commit Jacob Nall. Ryan came on strong at the end of last season and should do very well moving forward. 7.Chase Marshall 6-3 220 LB Lakeridge..Led all sophomores in sacks state wide (5.5) and has the size to do big things moving forward. Very talented Lacrosse athlete that will team with Royster to form top junior tandem. 8.Mike Varadi 6-0 220 LB Southridge.. Varsity starter at backer and looks to be one of the top linebackers in the state. Will move to Full Back and also be a two way starter giving them one of the toughest backfields in Oregon. 9.Scott Skurdahl 6-1 200 LB Sherwood- Kid looked really good at our elite events during the winter 22 rushes/204 yards/ 3 Tds, 23 total tackles. in 2011. 15. Joe Lobbato 6-2 210 LB Tigard.. Could end up on the D line, but projects at backer. Did very well at our elite events and is an outstanding kid with good size. 15. Zach Farnes 6-0 190 LB Clackamas.. Brother of the very talented Oliver Farnes, 31 total tackles and a sack. Has a lot of potential, will need to add size, but has great speed and athleticism. Gabe Stone 6-0 195 LB West Albany- 2nd Team all league linebacker, did a good job helping lead the Bulldogs to a Mid Willamette Conference title and a state semi final appearance. Parker Nielsen 6-2 215 Wilsonville.. Good sized athlete that could have a very big year.. Moves well and could b e one of the top sleepers state wide. 1.Jordan Horak 6-1 190 RB/S Lake Oswego..Phenomenal defensive back that contributed a great deal on defense and had some key interceptions. Raised in athletic environment, father is the AD..Outstanding overall athlete. Multi sport kid that we should see a great deal more on the camp circuit this coming season. 1.Tanner Sanders 6-5 200 Jr. FS/ ATH Crescent Valley..The states # 1 overall athlete for 2014, offered by OSU and SanDiego St..Probably more of an offensive player WR/QB…One of the most versatile players in the country. 3.Manu Rasmussen 6-0 170 SB/DB Tigard.. Started on both sides of the ball at times as a sophomore..Projects as a corner but you could see him at safety. The kid is silky smooth and will break ankles if you get him in the open field offensively. Multiple Td’s on the year 2011 (7). 9. Jordan Morgan 6-3 190 WR/DB Southridge..Projects as a WR, but is an outstanding leaper and track athlete and started both ways as a sophomore. Took a pick back to the house against Sunset, but will most likely be a WR in college potentially being ranked the #1 Wide out in Oregon for 2014. 10.Maleke Nathman- 5-10 180 RB/DB Southridge.. Multiple starts and Tds at the Varsity level. Will be a force in the Metro League for the next two seasons. Southridge has 3 VERY good Rb’s (Martinez, Pruitt). Jaray Kindell 5-11 165 SB/DB Lincoln.. Started at DB at the end of the year, did a very good job in the playoffs.. Will get some of the best training imaginable, and has D1 genes..
Daniel Rico- 5-10 175 RB/DB Southridge..Quick kid that likes to hit..Should step in and have more of a role next year.